TETER, LLP announces Jennifer Pike-Owens as its new Chief Operating Officer. Pike-Owens, TETER Partner-In-Charge of the Visalia office, expands her leadership role to include day-to-day operational oversight of all three offices: Fresno, Visalia and Bakersfield. 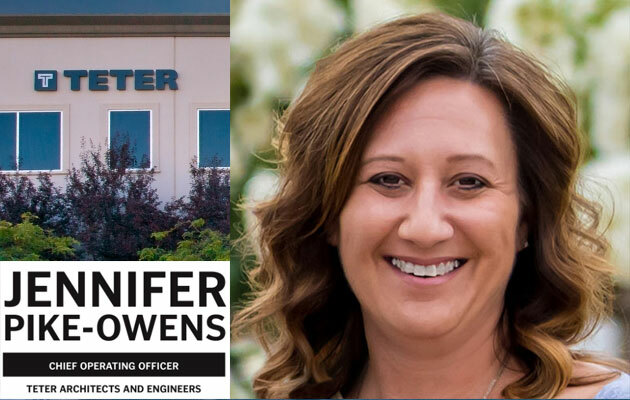 As Chief Operating Officer, Jennifer Pike Owens is responsible for managing hands-on operational aspects of the company. Additionally, she provides vision to ensure that proper operational controls, administrative procedures, and people systems are firmly established to grow the organization. Pike-Owens’ roots are firmly planted in TETER. Immediately out of the University of California, Santa Barbara, she joined TETER in 1996, when it was just a 15-person company with one office in Visalia. For the past twenty years, her commitment has contributed to TETER’s financial success, well-respected reputation and expanded geographic reach. As TETER’s new Chief Operating Officer, Pike-Owens also collaborates with all management teams to develop and implement plans for the operational infrastructure of systems, processes, and personnel designed to fulfill the company’s strategic growth and objectives.